Led by Doe Ladd, this is a community of parents helping each other with issues of addiction in their children. This is an excellent example of community activism in a large and somewhat isolated location. City of Angels City of Angels is here for the addict and the suffering families with many services best described on our website.We offer support with the hope that we may be able to give people calm and spiritual guidance as they approach the daily challenges faced by those affected by addiction. National Center on Addiction and Substance Abuse at Columbia University Addiction Medicine: Closing the Gap between Science and Practice. New In depth report of disparity between medical practice and support for addiction treatment. National Institute on Alcohol and Alcohol Abuse As with NIDA, this site offers eye opening information, up-to-date treatment ideas, statistics and more. National Institute on Drug Addiction Part of the National Institutes of Health, NIDA’s goal is to lead the nation in bringing the power of science to bear on drug abuse and addiction. Resources for various ages with a lot of downloadable flyers, pamphlets, statistics and more. The Scott Newman Center: dedicated to preventing drug abuse through education SNC also provides a life-affirming program for families recovering from drug addiction or are survivors of spousal abuse.Hope resides in many places and in many forms. Addiction Art Beautiful collection of art done by addicts; from Johns Hopkins University Press. Lots of free downloadable art! Submit your own or those of your children to the addiction art website. Coeditor Margaret Dowell’s Website. Margaret rocks! Addiction is a disease: YouTube video collection These short, clear and true stories say all that needs saying. Worth a few moments of your time! HBO: The Addiction Project Award winning special series that resulted in print, video and internet information. Information found here takes your research in many different and ever increasingly influential directions. Oxycontin Express Documentary News documentary regarding so called “drug doctors” in Florida and their influence in large and small towns throughout the South, into Appalachia and beyond. Prescription Addiction Radio Founded and moderated by Larry Golbom, a licensed pharmacist, this site has excellent information regarding prescription drugs. Listen in to their lively two-hour Sunday night progams. Related link: Ban Oxycontin. Sign the petition to ban Oxycontin and order black banoxycontin.com wristbands. Raw Opium – Documentary Think you understand the width and breadth of the war on drugs and its various issues? Invest a few dollars and an hour of your time; then decide. Click on “Store”. Soul Biographies: Soul Shaking Short Films For those consciously seeking a meaningful life. Here is a film artist who gets to the human soul with grace and into your heart with hope. The Black Dog of Depression Excellent article and associated brief video of the Black Dog of depression. Well worth the few minutes to get an empathetic overview of depression and hope. The House I Live In – 2012 Documentary Excellent film, up to date on the impact of the war on drugs…”the holocaust in slow motion.”Check out the preview and John Legend’s moving song with the faces of our fellow citizens..sisters, brothers, parents, friends. The Narcotic Farm Lexington, Kentucky, 1935 to 1971 Founded in 1935, “Narco” as it was known, was both a treatment center and a prison for addicts. Excellent film by Luke Walden.Look back on early experiments with addiction. Today Narco is known as the National Institute of Drug Abuse (NIDA). Time’s Up, by Lance Juracka Written, directed and produced as a film student at the NYU Tisch School in 1994, Lance later fell to the disease of alcoholism. Here he tells the timeless story of two generations of a family struggling with the disease.Completed posthumously by his mother, it is a testament to Nancy’s continuing love and respect for Lance. 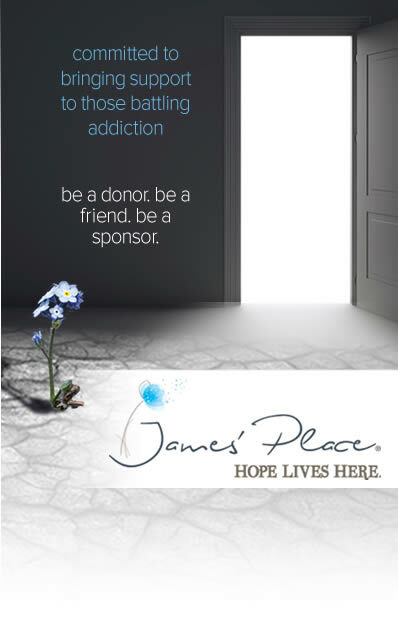 Sponsored by the Lance Juracka Foundation for Recovery. Institute of the Black World, 21ST Century Stories and statistics show the impact of addiction in Black communities, on prison populations. The Compassionate Friends – for family after the death of a child. Over 650 chapters in the US and over 33 countries with chapters, TCF is there with meetings, regional and national conferences, online support groups and much more. We need not walk alone. Addiction Monster Home of Sheryl Letzgus McGinnis and her books for parents, addicts and children. Her newest book is Addiction Collateral Damage: The Other Victims of Addiction. Compelling personal stories which offer a view into the lives of parents who have lost chldren to the disease of addiction. Helpful for those whose children struggle with addiction. Ban Oxycontin Oxycontin has risen to a leading cause of death by prescription drugs. Sign the petition to ban Oxycontin and learn more about this deadly prescription drug. Order black “banoxycontin.com” wristbands. Bootsy and Angel Books Founded by Dave Roberts after the death of his beloved daughter, Jeannine. The mission is to provide information, support and services to individuals and families who have suffered the death of a child or other catastrophic losses as well as quality training and resources on grief and loss. DadOnFire: On fire about the impact of addiction and the need for solutions. Committed to sharing experiences and solutions to addicts, their families and communities impacted by addiction. Offers relevant information and discussion forums.Dedicated to informing and sharing ideas on addiction, national policy and more. Excellent resource for the inquiring mind. Fight Against Drugs – George Chuvalo Former Canadian Heaveyweight Boxing Champion For 21 years, George reigned as a boxing champion in Canada. Meantime his family was battling the disease of addiction to which he lost three sons and a wife.Today George speaks to students, parents and other groups about drugs. Check out his powerful video clips and learn more. Friends Don’t Let Friends Die Founded and supported by moms whose chldren might still be alive if a friend had called 911 or in some way taken affirmative action. Helplessly Hoping: a mother’s blog The straight forward journey of a mother whose daughter struggles with addiction. Packed with personal observations, crisp book reviews and more.A great site to explore for related blogs and interesting sites. Moms Tell Goal: to promote awarenes and eleminate the stigma of substance abuse through improving treatment, education, legislation, policy and prevention. National Coalition Against Prescription Drug Abuse The goal of NCAPDA is to create awareness of the dangers caused by prescription drug abuse. Oxy Kills Kids Founded by Gail Graves after the death of her son to Oxycontin, this is the home site of the annual “Ban Oxy” rally held each year. Peeling The Onion – A Mother’s Journey One mom reaching out to help others dealing with addiction, issues of codependency, advocacy. S.T.A.R.S. – ScholarshipTrust For Addiction Recovery Services Mission is to raise funds and other forms of support that will be used to help underwrite the cost of treatment through supplemental scholarship opportunities nationwide.Stay tuned for the opportunity to support STARS through online contributions! STL Heroin Help Founded after the loss of a son to heroin, STL Heroin Help offers education and activism with rallies and other contact events in local communities. Located in St. Louis, Missouri, offers good examples for what other communities might offer. The Tale of the Scorpion and the Caterpillar Jinny Toucan’s charming children’s book with a message about loss and the differences we find in life. Read about her life and the too short life of her son, Tarik Toukan. Walk Against Addiction To raise awareness and promote education around the disease of addiction.Founded by two moms who are making a difference… check out their efforts in the Outer Banks area of N.C. Global Commission on Drug Policy The purpose of The Global Commission on Drug Policy is to bring to the international level an informed, science-based discussion about humane and effective ways to reduce the harm caused by drugs to people and societies. Read their latest report, June 2011 re: the international war on drugs and recommendations from a blue ribbon international committee. International Drug Policy Consortium What goes on globally as it relates to drugs? Featured on the home page is the UN IDC World Drug Report 2011; Interesting summary to help broaden perspectives. International Drug Policy Consortium See their report “After the War on Drugs: Blue Print for Regulation” Nobody may have all the answers but this well researched collaborative report sheds light and hope.